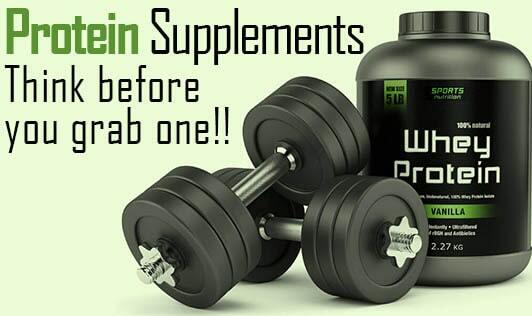 Protein Supplements - Think before you grab one!! Some of the frequently asked questions by the clients to us include - Are protein supplements healthy? When these can be consumed, how much can I consume at a time, will I get six packs after taking it and so on. I am sure many of you might be confused regarding whether to consume these supplements daily... will it be safe? Most important requirement of our body is protein and of course carbohydrates and fats are in the limelight too. The commonly used protein supplement now-a-days is whey protein. It is the high quality protein derived from cow's milk; also soya protein and casein are available depending on the product. Whey protein powder is made up of the water which we get after separating cottage cheese from milk. It is the most concentrated form of whey available. It comes in three major forms concentrate, isolate, and the hydrolysate. • The protein intake is not sufficient compared to the dietary requirements. • Medical conditions like cancer, AIDS, burns and some other diseases (this is usually decided by the doctor and the dietician). • Your body is not able to digest the protein in natural foods. • People like body builders, people staying in hostels and people who are reliable only on outside fast food or junk food. • A pregnant woman is not able to consume healthy well balanced diet according to the nutritional requirement. Are Protein supplements safe for daily consumption? A balanced diet should contain protein which comes from the foods like legumes, nuts, paneer, eggs, leans meats liked skinned out chicken and lean fishes, low fat milk and its products. When these foods are not included in the diet or you are under very high intensity weight training only then go for a protein supplement under the guidance of your dietician. Including a very high amount of protein in your diet has its own side effects like bloating, nausea, diarrhea, headache, skin problems, etc. So next time you think of buying a protein supplement, make sure you get a prescription from your Dietitian!